Getting to know Matt Clements. I’ve been passionate about real estate since before I was old enough to actually sell or list a home. Since then, I’ve crafted my career and created relationships that lead me to the same conclusion—I absolutely love what I do. Award winning team called "The Clements Group" crafted after my Father, Grandfather, and Great-Grandmother -- all of whom were OC Realtors. That makes me a 4th generation real estate agent in Orange County (Team of 5 Realtors). I am grateful to have been elected to sit on the board of directors for the Orange County Association of Realtors. As the youngest elected President, expect our board to think differently. I also vote on the board of Directors for the California Association of Realtors, and I was the National Winning Chairman in 2016 (Chairman for the Young Professionals Network) for California. I am also a voting member on the board of directors for the National Association of Realtors representing YPN & Professional Standard Committees. I am the regional representative (Region 13) for all the Young Professionals Networks located in California, Hawaii, and Guam. 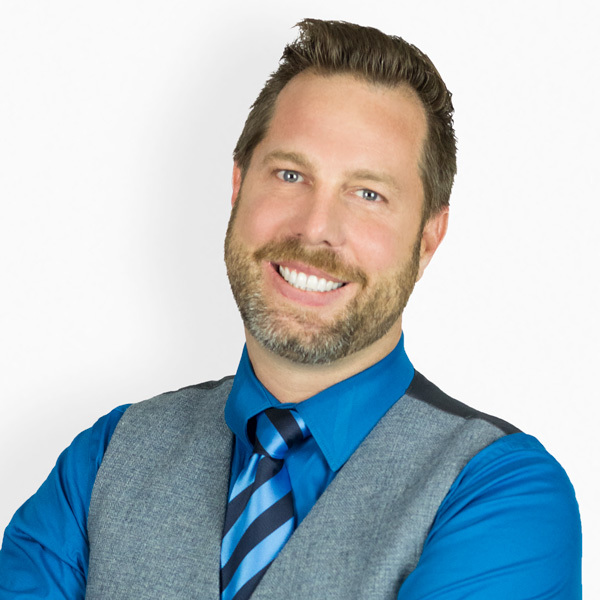 Matt is a 4th generation Realtor, born & raised in Laguna Niguel. 2018-2019 Board member of the National Association of Realtors. What Matt's Clients are Saying. I would highly recommend Matt Clements to anyone looking for a truly professional Real Estate Broker. Matt's positive attitude, attention to detail and interpersonal skills separate him from the rest. Matt and his team are the best around bar none. When I ran into a complication with my sale, Matt was right there to advise me and walk me through everything that needed to be done. I can't say enough about how impressed I was..... with his knowledge, his ability to get back with me right away, to solve any problems and move the deal ahead to a finish. He is simply the best and after working with other Realtors, I would never use anyone else! Even before I signed the listing agreement, Matt took his time to answer all of my questions about selling my home in the current market. He was well prepared, courteous, thoughtful, and I felt my home was just as important to him as the other larger properties he had listed. He helped me to stage my home so it would be attractive to buyers, and photographed it beautifully for flyers and advertisements. I received multiple offers in the first week! Absolutely the right decision to list my home with Matt! He made what could of been a very stressful situation almost painless!! Matt is the first agent in my experience, having bought and sold 14 homes, who explained how I could sell my home and replace it with a property better suited to my evolving financial situation. Every commitment was met and our trust in him rewarded us with a great home exactly what we needed, at this stage of our life. He is really almost too good to believe. Now if only he would get a law degree I could have a lawyer I could trust. Our transaction was not the usual. My sister and I closed our family’s estate at the sale of this property. We began the process in March by receiving a call from our then current Realtor (who sold us both our homes 16 years ago). She encouraged us to sell now for the best price. We began the process with her. Our bank gave us Matt’s name as a referral and we thought we should at least interview him. I’m very glad we did. He immediately impressed us with his professional, friendly and confident manner. We spent two hours with him on the initial interview and to our amazement we signed him up at the end of the meeting. Although he is much younger than us, his qualifications were sound and he won our confidence in him and your firm. Our now previous Realtor was very disappointed we did not use her. She did a good follow-up job with us for 16 years and she is also my neighbor. I still had to choose Matt over her. I felt he could get the job done quickly and for the price I wanted, he did both. Personally, Matt made a very difficult journey easy for me and my sister. He took charge and led us through the processes with ease. I really appreciated that. Professionally, I am the Executive Manager for a company of 50 people and like yours, our business model is sales orientated. I work closely with our sales reps and can recognize a champion. Matt is a champion in your organization. I wish we had a few more just like him. Thank you for the opportunity to work with Matt. We will send him referrals with 100% confidence that he will perform for them as he did for us. We now consider him our Realtor. From the time it was listed to being sold, having Matt on our team was real comforting. We felt we were always in good hands. We loved his Monday morning phone calls – all so positive & reassuring, He was always very positive & reassuring, He was always very patient with all of our questions and concerns. Matt went above and beyond our expectations and was truly our advocate! Matt is one of the few realtors I've worked with who truly understands customer service. He is knowledgable and professional. I was impressed with his level of personal attention. Matt was instrumental in ‘sealing the deal’ and able to reach an agreement with the seller through his negotiating skills. He made strong commitments and lived up to them. At first it was difficult to believe he would be as excellent as he seemed! Matt was very thorough in the home selling process. He was helpful with staging, repairs, even meeting with the appraiser to make sure he saw the value in the home. He is polite and timely in all communications. He truly is interested in making his clients happy. I would only recommend Matt for your real estate needs! Matt is a fine young man. He worked hard to find me a home when I really needed him. He was always available to answer any questions I had and always there to lend a hand when I needed some heavy lifting. He has truly become a member of my family. I value his real estate wisdom as well as his friendship. I highly recommend him without reservation. Matt was hired on to handle some property litigation held up in courts. Matt worked hard and got the land back in the family name. I highly recommend Matt Clements for any ones needs commercially or for a basic family home purchase or sale. Matt was a joy to work with. Professional, courteous and most of all, delivered results on a timely basis. I'd highly recommend him for any of your real estate needs. A Selection of Matt's Recent Sales.